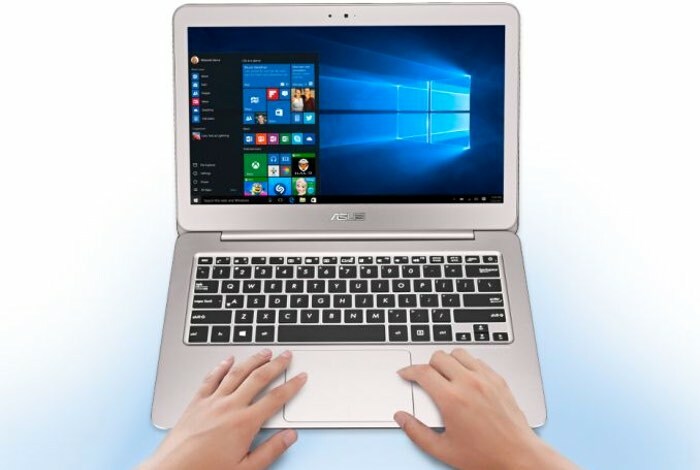 Asus have this week announced a new addition to their range of laptops with the unveiling of the new Asus ZenBook UX305UA that will soon be launching and is equipped with a USB-C connection as well as an Intel Skylake processor. The Asus Zenbook UX306UACan be equipped with either a Core i5 or Core i7 Skylake-U processor which can be supported by up to 16 GB of RAM. Internal storage is available in either 256 GB or 512 GB options in the system is fitted with a 13.3 inch IPS antiglare display. The laptop’s display is also available in a couple of options in the offering 1920 x 1080 pixel resolution or a larger 3200 x 1800 resolution depending on your budget and preferences. Connectivity is provided by both 802.11ac WiFi, Bluetooth 4.1 ambassadors have equipped the system with a full-sized USB 3.0 port together with a 57 watt-hour battery. Other useful features of the ZenBook include a backlit keyboard, unfortunately no information on pricing or worldwide availability has been released as yet Aus, but as soon as information comes to light we will keep you updated as always.